Our group is currently playing N1: Against the Cult of the Reptile God, which recommends a party of 4-7 1st level player characters. I invited six players to ensure that we’d always have 4-7 players, even if someone had to miss a session.Six players plus a DM is a lot of people for an online video call. But if you’re going to play AD&D, you need a lot of players. Thus, this will likely be an issue for quality of audio (possibly) and video (definitely). Lessened tactility and personal connectionThis affects all online roleplaying, not just AD&D. Playing online takes a flesh-and-blood component out of your tabletop gaming, which is in some ways unfortunate. That said, for many people it’s hard to find flesh-and-blood players nearby, so this may be a necessary evil. 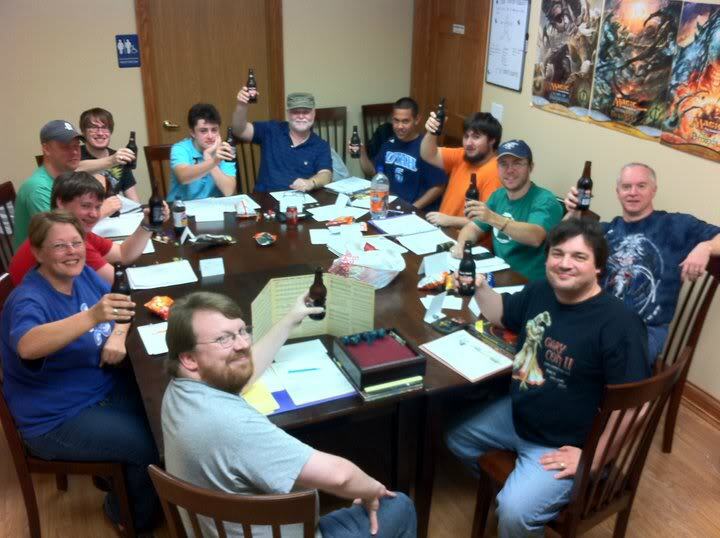 Less space for roleplayIt’s challenging to roleplay in-person with a large group of players. If two characters are having a conversation, it’s hard to corral the others into (a) listening or (b) being quiet so that the two players can talk. These issues are only compounded online. So roleplaying gets somewhat diminished…if you don’t find a way to compensate. But here’s what I’m realizing: these issues can be addressed. They can be overcome, so that you find a new way of playing AD&D. But you must start with patient players who are committed to the process. How do you find these players? First, it helps to have a relationship with these players already. If you’re playing with people you’ve never met before, it may be an awkward challenge to deal with these kinds of issues. Second, it’s essential that the players are committed to playing AD&D. Because let’s all be honest: 5th Edition D&D is a great game that’s really easy to play online. 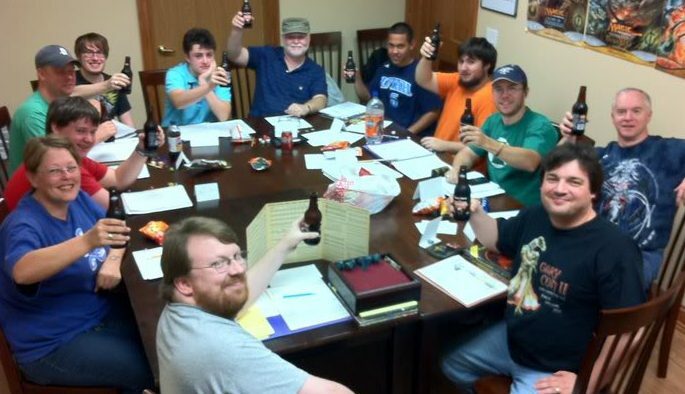 There’s no reason to not play 5e, unless you’re really committed to AD&D. Plus, with Tales from the Yawning Portal coming out, you’ll be able to visit some AD&D locales in a 5e setting. All that is to say, your players need to be committed to the process of playing AD&D. There has to be some added value there. But if you’ve read this far already, then you already know what that added value is. You’re interested in something different, nostalgic, and dangerous. That’s why you play AD&D. And once you’ve got players that fit these guidelines, it’s time to get playing. But what to do when you experience one of the challenges I listed above? Or perhaps one I haven’t experienced yet? When our online group started, we experienced all of the challenges presented above. But if you tried to take them all on at once, it’d be remarkably overwhelming. And you probably wouldn’t succeed. So we decided to tackle the issue that was most presently distracting, namely our audio/video issues. The first session was a mess. One player’s microphone kept cutting out. I kept getting booted off the Google Hangout. One player consistently couldn’t hear. It was a mess. But who knows? Could be a fluke! Second session…just as bad, if not worse. We had six players present and it was a nightmare trying to get things going right. We made some progress in the story, but not without some remarkable difficulty. Third session? Finally, by our second half, we had figured things out. First, we abandoned Google Hangouts for Roll20. There was just too much going on bandwidth-wise. Roll20 allows you to personally adjust your own bandwidth settings, which really helped smooth out everyone’s feed. Second, the players with the most A/V problems switched to audio only. Between these two small changes, we resolved all of our A/V problems…well, except the player with the microphone issues. That’s internal to his machine and he’ll hopefully have it solved. A third (untested) tip: tonight, I’m going to test out Roll20 using Opera, a remarkably fast browser that I just became aware of. If the DM and players are patient and committed to the process, you can overcome these problems one-by-one. Will it be the AD&D of your youth? No–it will be something different. And I believe it will be a lot of fun. You’ll enjoy a whole new phase of AD&D by creating a new environment and experience for the game. After all, good games don’t die. They adapt with you. First, connect with me on Twitter or Facebook. I’m happy to help you troubleshoot any issues you may be having DMing AD&D (or any RPG) online. I’ve GMed about 200 hours online, so I’ve got a little bit of experience there. Second, start amassing a list of players who would be interested in trying AD&D online. I’ve got a running Evernote with the names of folks who’d be interested in playing and committed to the system. Third, if you’ve got a group going already, list the top three to five issues you wish were different with your online experience. Then, start dealing with them systematically from most affecting to least. Take it one session at a time and you’ll see progress. I am no longer the huge fan of google hangouts like i used to be, but we found almost all of our problems went away if we did not use the same browser for roll20 and hangouts. it didnt actually matter which two browsers you used, or which app was in which, just a host of problems went away when they were separated. I havent used the in game roll20 stuff since it was a disaster, but that was over 2 years ago. 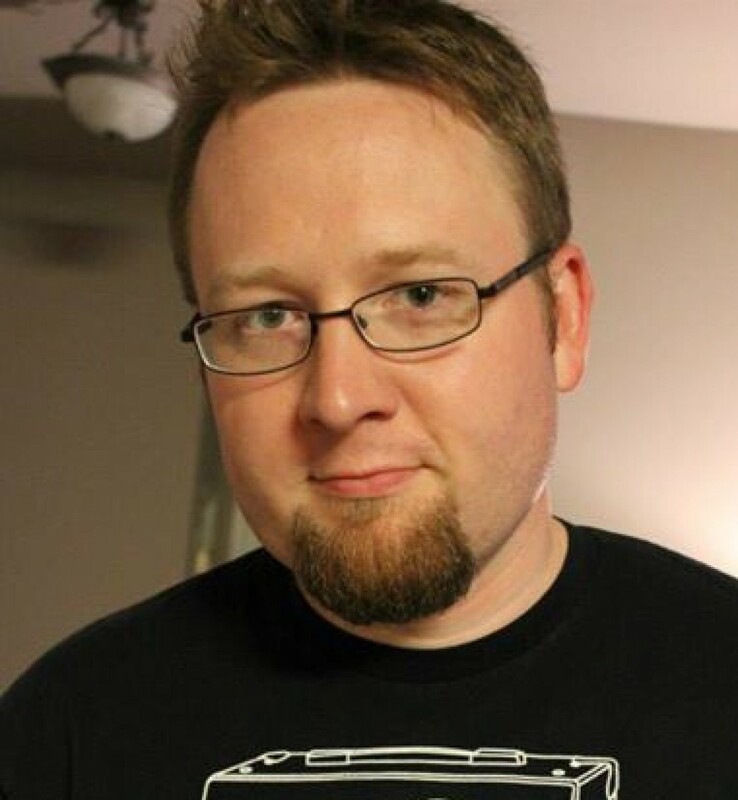 i just read an email from the roll20 folks about… 2 weeks ago? that it had major major improvements and to give it a shot – if it worked for you, i just might! after using roll20 to game for many years now, i have found no solution to number of people issue. there are just visual clues in real life when someone wants to talk. also, a lot of apps, google hangouts being one of them, prioritize whomever they think is supposed to be speaking so its not even like bob and sally are talking at the same time, all we hear is bob bc google decided to cut sally off. this problem was especially bad if a player launched the hangout not the gm. but water under the bridge if youre using the built in! This is a good tip. It seems many people are saying similar things about using separate programs.